A. Sadly, this is going to be one of those weeks where I have extreme blogger envy! Since most of the books I read are e-books which I download as I go, I’ve only got one actual book on my shelf to be read! So, instead, I’m going to focus on my TBR list which currently has 29 books on it! The one I want most desperately? 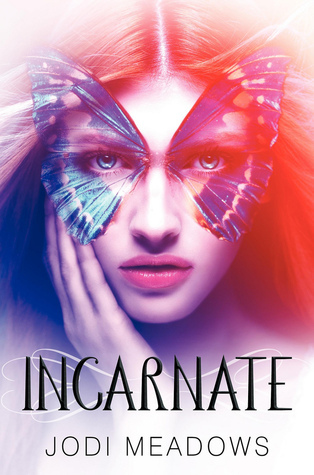 Incarnate by Jodi Meadows.